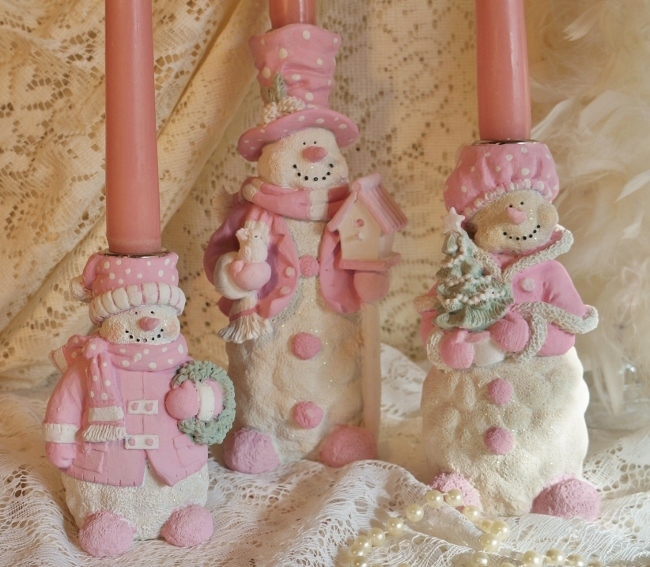 These shabby little snowman family candle holders are so cute. I gave them a sweet redo. 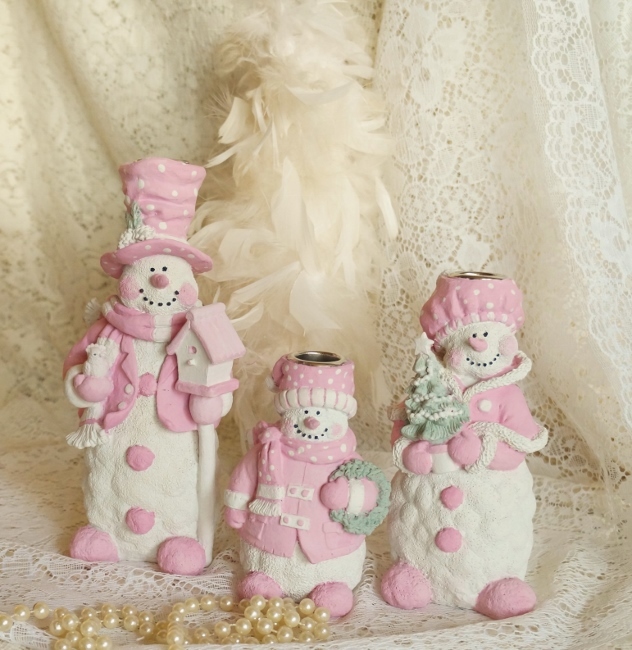 They are in the three differant sizes, 9",7", 5"tall. 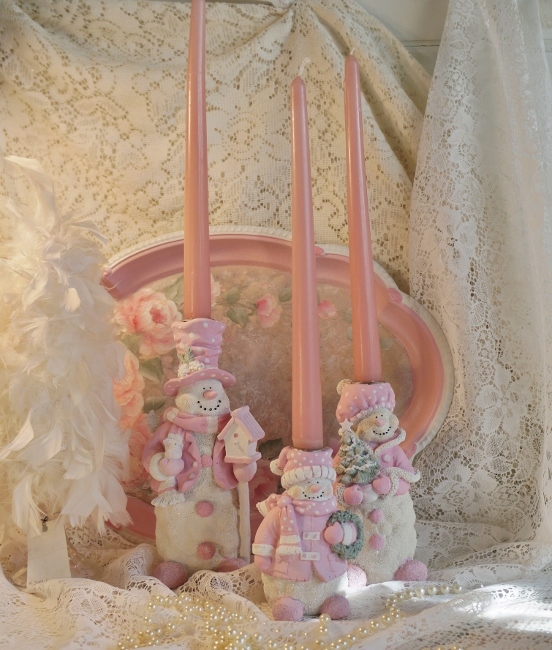 Candles and other items not included.